1) A notable, slightly fancy-pants new arrival this week on Oakland’s Piedmont Avenue: Homestead (4029 Piedmont Ave.), an upscale farm-to-table restaurant located in the former Zatis spot, opens for dinner on Thursday, August 1. Helming the kitchen are husband-and-wife co-owners Fred Sassen (Camino, Farallon) and Elizabeth Sassen (Waterbar, Farallon), whose menu will change frequently with the seasons, but may include things like pissladiere (a kind of caramelized-onion tart), duck confit tortellini, and chili-rubbed slow-roasted pork. And, like real homesteaders, the Sassens will not only be baking their own breads and making charcuterie, they might eventually produce their own cheeses and vinegars in-house as well. Much has been written about West Oakland’s status as a so-called “food desert,” and the good, community-minded folks who are working to bring healthy, fresh food options to a neighborhood where they aren’t plentiful presently. The latest such project is the Freedom Farmers Market, a weekly Saturday farmers’ market slated to debut in West Oakland, in the parking lot of the Brothers Kitchen soul food restaurant at 3000 San Pablo Ave., on August 31. Here’s one for all you night owls: Just as we were mourning the death of Rico’s Diner (400 15th St.), What the Fork got word that the recently shuttered burger-and-milkshake shack will be reborn this week as Rico’s Hi Life, a pizza-and-beer joint. Better yet, Damon Gallagher, one of the restaurant’s new owners, said his hope is that the reborn Rico’s will fill one of downtown Oakland’s biggest voids: the lack of late-night food options. Things were looking grim when Uptown Oakland's Hawker Fare (2300 Webster St.) announced that it would be closed indefinitely after masked vandals lit a trash can on fire outside the restaurant early on Saturday morning, melting the restaurant's electrical meters. But the repair process has been relatively quick, and owner James Syhabout confirmed that Hawker Fare will reopen for dinner tonight, July 25, at 5 p.m. The restaurant will subsequently resume its regular business hours. I’m back after a quick vacation last week, but the food beat stops for no man. Without further ado, here’s a super-sized edition of the Mid-Week Menu, our weekly roundup of East Bay food news. 1) Tablehopper reports that the former Guest Chef location in Rockridge, 5337 College Ave., now has a new tenant: Pucquio, a restaurant specializing in contemporary Peruvian street food. Pucquio, which actually did a pop-up stint at Guest Chef back in the day, has been open for dinner for about a week now. Take a look at a sample menu, which features a ton of seafood, both hot and cold preparations, including several different cebiches. Foragers and the open-source community have a lot in common — they’re both interested in the free exchange of something valuable, whether it’s oranges or computer code. So it seems natural that Forage City, an application that facilitates the giveaway of free food, is open-source, so it, too, can be shared. 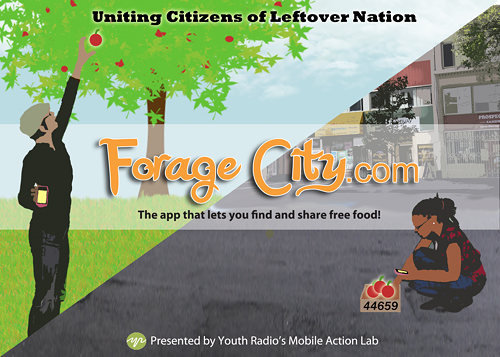 The app allows anyone to create his or her own Forage City website, on which users with excess food post what they have to share. Those in search of food can log in and find what’s available in their area. Once they find something they like, they can claim it online and pick it up in person. The Pastry of the Moment is the cronut. Invented in New York, the croissant-doughnut hybrid, filled with cream and glazed on top, has inspired a Beatle-mania-like craze: The lines are so long, and people are charging $80 on Craigslist to get one for you. Unfortunately, they’re not available in the Bay Area (yet). But the East Bay has seen its share of popular pastries: In 2009 there was a frenzy for Pizzaiolo’s doughnuts, which sold out regularly by 10 a.m. A little more than a year ago, Starter Bakery’s kouign amann made a much-hyped debut, and for a while it seemed to be everywhere a good cup of coffee could be found. Tommaso Boggia and La Wanda Knox hope so. They’re co-founders of Portside Community Market, a proposed 5,000-square-foot, employee-owned cooperative that plans to set up shop in the neighborhood. According to KQED's Bay Area Bites, the market aims to offer local and organic produce in addition to a deli, bulk foods, and a community meeting space. It could also serve as a one-stop shop for goods from Oakland-based businesses like Blue Bottle, Urban Legend Street Cellars, and Linden Street Brewery. Portside Community Market is still in the initial planning stages; you can track its progress on its website, as well as keep abreast of future events and ways to donate money toward its construction. 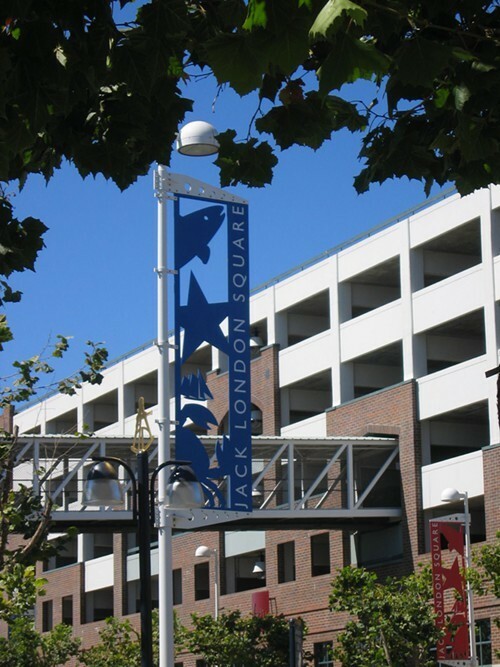 There’s also an online survey — available until Tuesday, July 23 — for residents, workers, and visitors of the Jack London area to offer input on what they’re looking for in a neighborhood market. My favorite street food discovery so far this year didn’t take place during a rollicking First Friday street party or at one of the East Bay’s many formalized convocations of gourmet food trucks, and it certainly wasn’t served on a porcelain plate at some sit-down restaurant. Instead, on a recent Wednesday, fresh off a tip from the eagle-eyed grub seekers over at Chowhound, I found myself standing in front of a tiny shack of a food stand set up on a trailer in a barren West Berkeley lot. 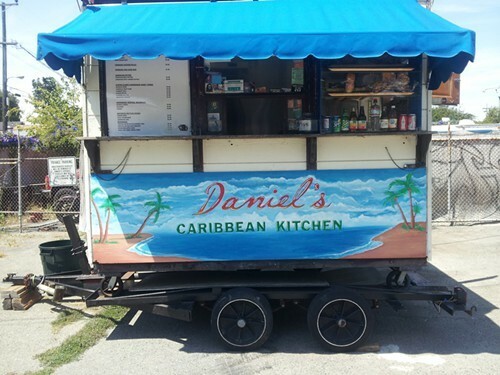 Daniel’s Caribbean Kitchen shares the lot with a small pottery shop called Jered’s Pottery (2720 San Pablo Ave.). It’s an unassuming little spot, but if you like Trinidadian food, you should head over as soon as possible. 1) The new Uptown Oakland location of Umami Burger (2100 Franklin St.), the hugely popular SoCal burger chain with modernist leanings, softly opened on Monday. The menu is similar to what customers will find at the chain’s other locations, with the exception of one site-specific signature burger: the Queso Fundido Burger, which is topped with oozy housemade chile con queso and chorizo fundido sauce. For now, the restaurant is open from 11 a.m. to 10 p.m., though the closing time might get tweaked during this soft opening period.